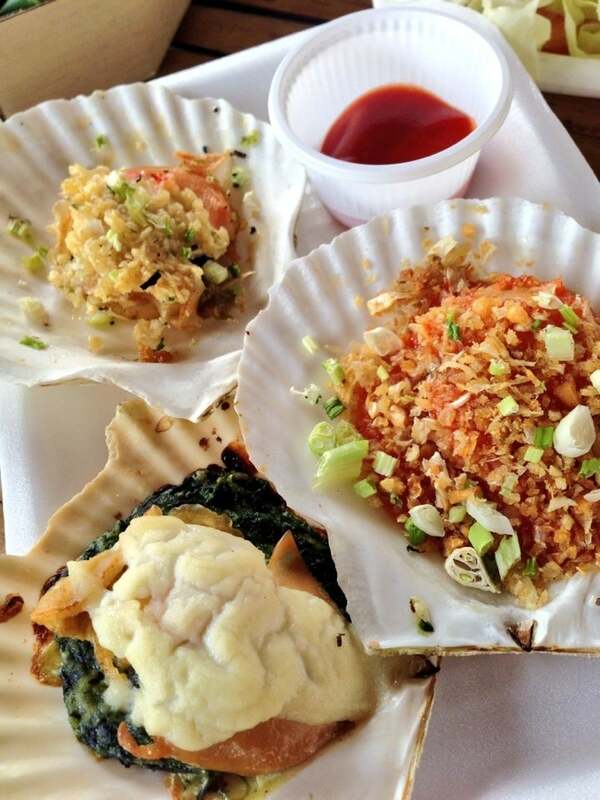 Khlong Lat Mayom Floating Market, set in a relaxing spot out in Bangkok's rural far western reaches, boasts a colourful atmosphere and some outstanding food. 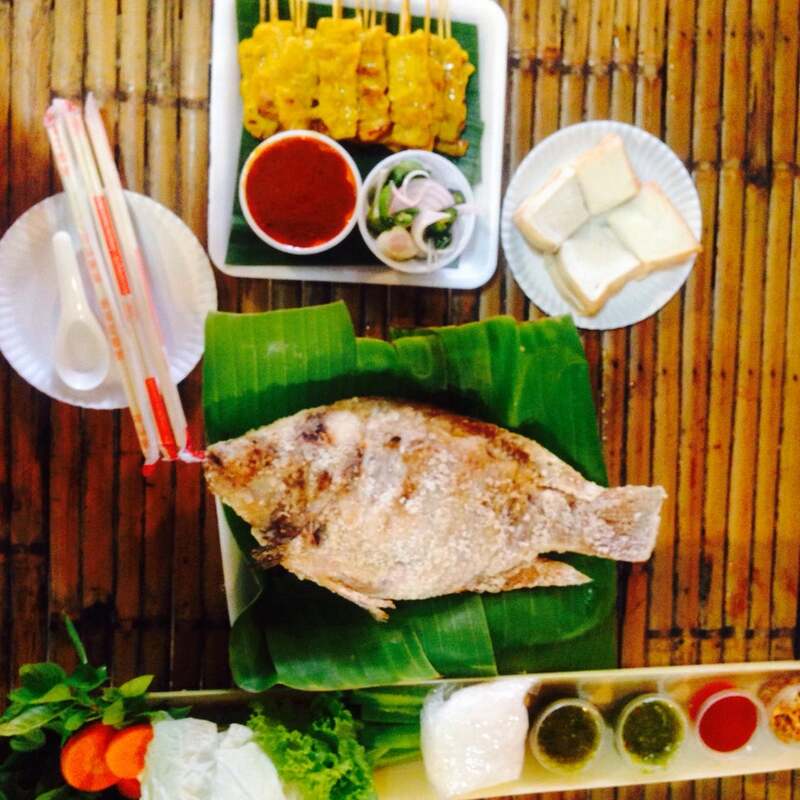 Why Khlong Lat Mayom Floating Market is special ? Khlong Lat Mayom floating market in Bangkok, Thailand, is a paradise of serenity, a place where nothing seems to be in a hurry and no one seems like they are out to get you. Khlong Lat Mayom is one of the three floating markets located close to Bangkok, no more than twenty kilometres from town and accessible by taxi from Wongwian Yai (the last BTS station on the Silom Line). Khlong Lat Mayom is nothing like the huge touristy Damnoen Saduak or the crowded Amphawa but really has the charm and authenticity of a local market and you might be one of the only foreigners around. You can spend a couple of hours here then move to the largest Taling Chan floating market, just a couple of kilometers away. 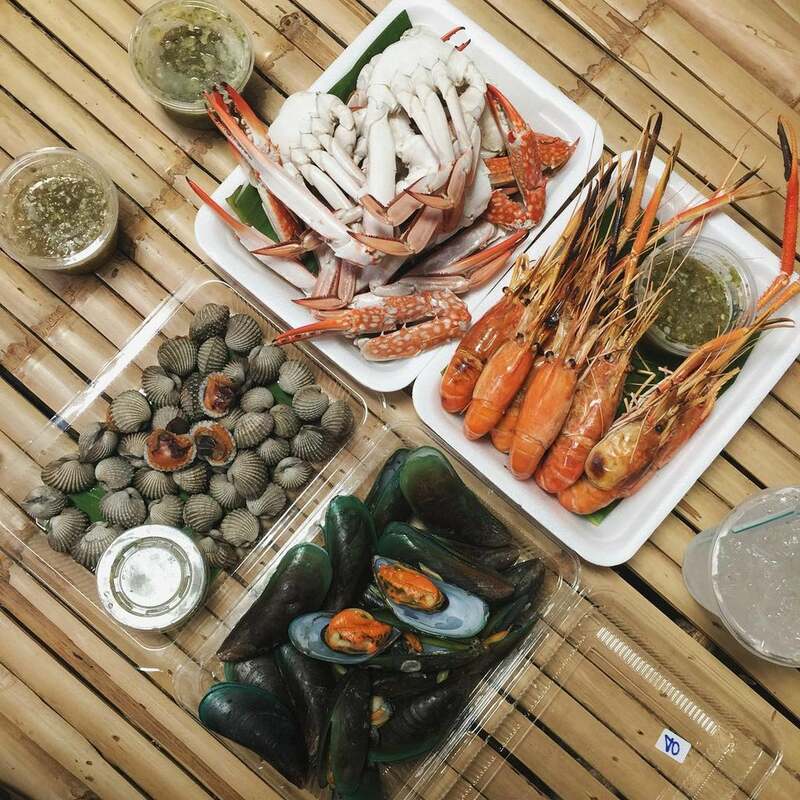 What to explore at Khlong Lat Mayom Floating Market? Unlike the markets of Amphawa and Damnoen Saduak, Khlong Lat Mayom is set along a decidedly quiet and narrow canal. The market spans a tightly packed but fairly large area with narrow footpaths winding past vendors sheltered by individual thatched roof huts. The largest part of the market is built on firm ground and is surprisingly large and fun. One side is dedicated to the fresh market, mostly beautiful veggies and fruits, while the other side sells all kinds of colorful snacks, sweets and cooked food. You can find familiar or surprising tropical fruits: huge papayas, large green or ripe mangoes, chompoo and sapodillas, massive pomelos like overgrown grapefruits. 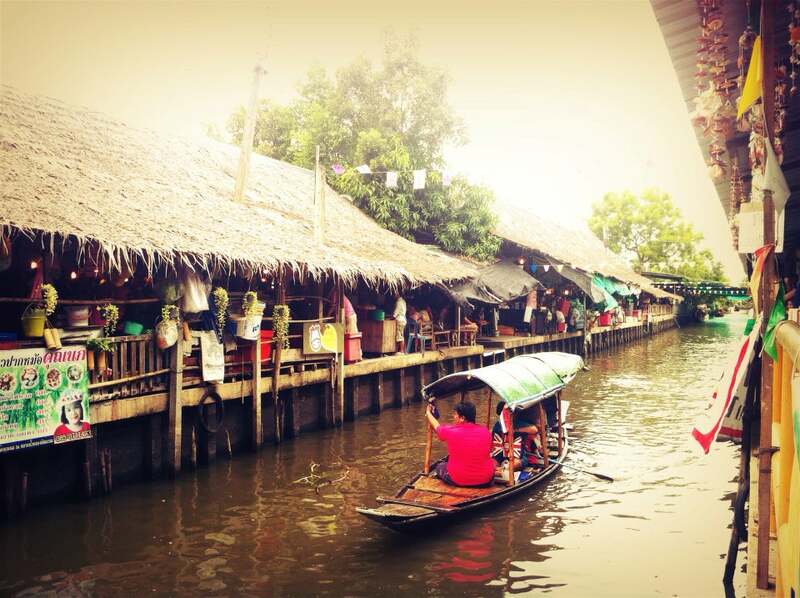 How to get to Khlong Lat Mayom Floating Market? 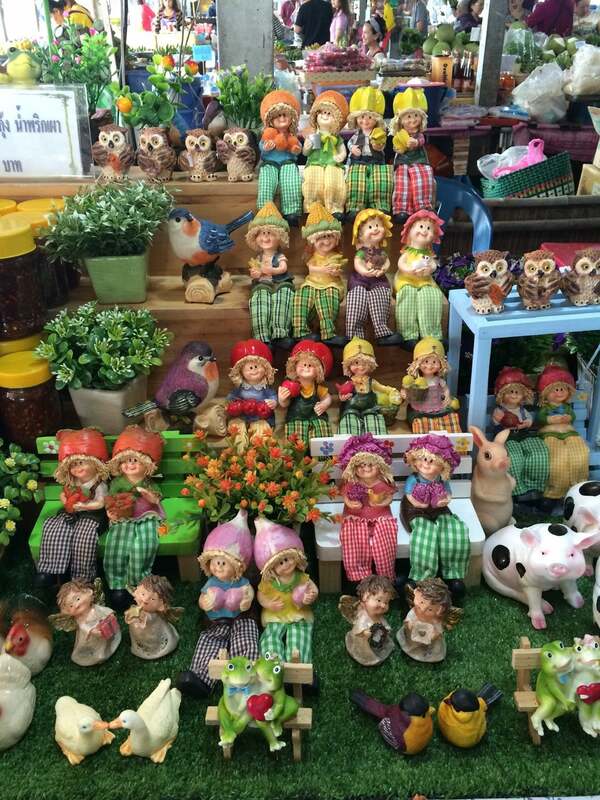 The market is located on Bang Lamad Road which is off Bang Khae-Bang Bua Thong Outer Ring Highway, Taling Chan, Thonburi, Bangkok. The easiest way to get there is to hop in a taxi from Wang Wian Yai BTS station and tell the driver to go to Talat Nam Khlong Lat Mayom. The taxi should only cost around 100 THB. Worth a visit! Not too touristy! The market is open only on Saturdays and Sundays and public holidays from 9:30 am to 4:30 pm. To make the best of your morning, it might be a good idea to combine both Taling Chan and Khlong Lat Mayom as they are only a couple of kilometers away from each other. There’s even an “art zone” tucked into one corner; it looks to be set up mainly for kids. Don't be shy and try some of the dishes you are not familiar with... if you don't know what it is, just point at your neighbour's plate. If you have kids, take them for a pony ride at the ranch just down the road; they will ride their cute little friend from the ranch to the market and back, definitely a great memory for them and a great photo for you. After having your fill of the fabulous local food, hop in a boat for a cruise around the canals. 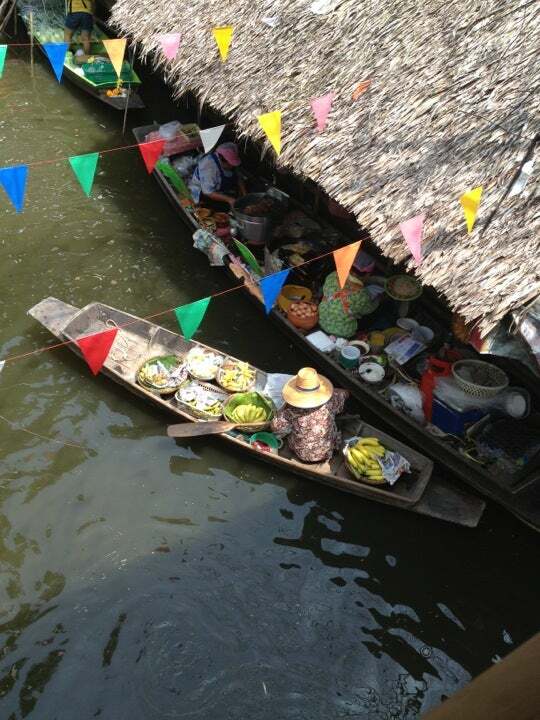 A floating market, where we can buy lots of good food, so i came here quite often. 1.5 hours canal trip to visit Thai antique house, and local people life style is recommended, only 50 baht/ person. One of the highlights of our 3 day trip to Bangkok. The food is incredible. I'll crave it forever! Fresh, interesting, tasty. Try the tangy rice noodle & salmon salad served in a bowl made from pandan leaf (40 Baht, or around AUD$1.60) or the sticky rice with custard. Eat it on a low stool at a shared table by the riverside. Too much food and not enough stomach! If you like to eat, come here. Lovely local people and very relaxed atmosphere mid morning. You will not be disappointed. Take the BTS to Bang Wa then a taxi for around 70 Baht (AUD$3). Check that the taxi has seat belt latches before getting in. You drive at speed on a freeway and we had no seat belts. Most taxis have the belt buckle thingy stuck under the seat, and the belts can be filthy so don't wear white! Only open Saturday & Sunday. Don't miss it!